I thought that Natalia Petrovna Bilikozde (the woman who claimed to be the 101 year old Anastasia Nikolaevna) was going to be the last case of a person claiming to be a child of Nicholas and Alexandra, but recently while checking in pinterest I discovered that I was wrong. 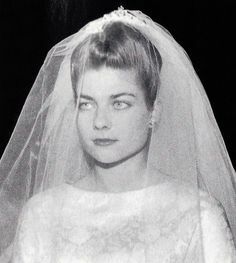 This woman is the third (or at least the third that I know: Suzanna Catahrina de Graaf and "Irina Nikolaevna") woman who claims to be a fifth daughter of the Tsar. "Not even close! 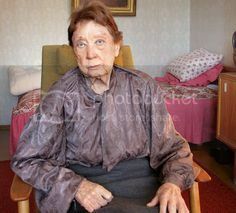 FALSE DESCENDANTS OF THE ROMANOVS ~ in 2011 this a 97-year-old woman Elsa Volkov who lived in Riga, Latvia argued she was the 5th daughter of the last Russian Emperor Nikolay II. Neither archive memories nor documents proved any fact that in addition to four daughters - Olga, Tatiana, Maria and Anastasia, and his son Alexey Nikolay II got the 5th daughter Elizabeth." Another one. Geesh, will this never stop!? Nicholas and Alexandra had five children, and only five. Case closed. She only claimed to be the daughter of Nicholas II, not Alexandra. It is highly unlikely but not completely impossible. If she was 97 in 2011 that means born about 1914. No records does not necessarily mean no birth. Illegitimate royal births are easily covered up. A fair point, but Nicholas was an exceedingly devoted husband, so unlikely that he would have a fling. At least she created her own character instead of claiming to be OTMA. It makes it easier to fake, too. If this lady really believed this, she should have agreed to a DNA test. I'm guessing she didn't, because she knew it would debunk her whole story. She may well have done a DNA tests, and that may be why she is now making this claim. I've atempted to find some more information on this woman's case but I haven't had luck, there is only the post on pinterest. I am not sure even if the woman is still alive, she would be now 102 years old. Anyways, the claim was made in 2011 and nothing else has appeared after all. The post doesn't mention any DNA test, so I think none was made at least when she made her claim. I am not surprised, only very few claimants dare to take DNA tests. only very few claimants dare to take DNA tests. Because they know said tests would debunk their claims. I don't know why people pretend to be who they aren't. And of course, it would have been impossible for the tsar to have an illegitimate daughter. Anyway, he was very devoted to Alexandra. Is it that they want to be famous or want to add more mystery, inventing more things about the last Romanovs? Not impossible for Nicholas to have an illegitimate daughter, but very unlikely indeed. If he did, I reckon it would have been before his marriage. I know of two who have had DNA tests done. The tests were negative, but in each case there had been a genuine belief that they would prove the 'truth'. I don't know why people pretend to be who they aren't. There is no pretense about it, they believed it, although that belief may have been misguided. Anna Anderson died before DNA testing was available, but I have always been highly suspicious of her refusal to be tested on her ability to speak Russian. In fact, there s a japanese woman on facebook claiming that her great grandmother had an affair with Nicholas during the 1891 visit to Japan and her grandmother was the result of that affair. I checked her Fb profile and its pretty wacky, i must say.